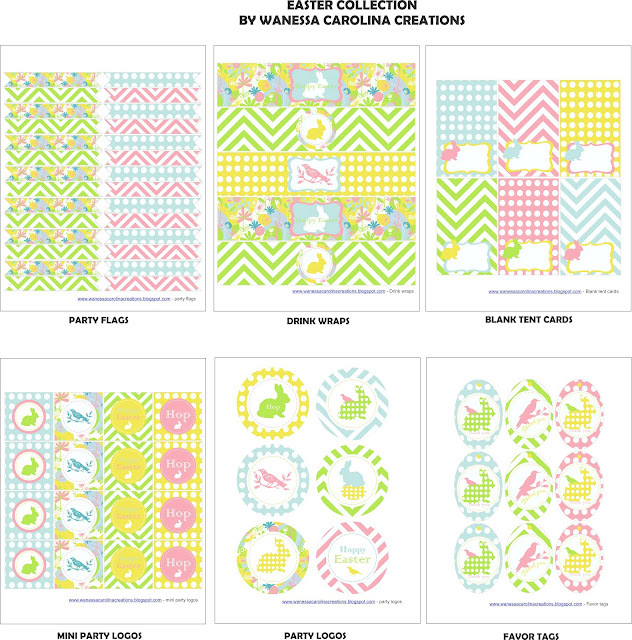 I want to introduce our first official contributor to the Catch My Party blog... Wanessa of Wanessa Carolina Creations! Wanessa is such a creative powerhouse, born in Brazil and now living in the US, Carolina adds a multicultural touch to every beautiful thing she does. Be on the lookout for her lovely printables and fantastic DIYs. 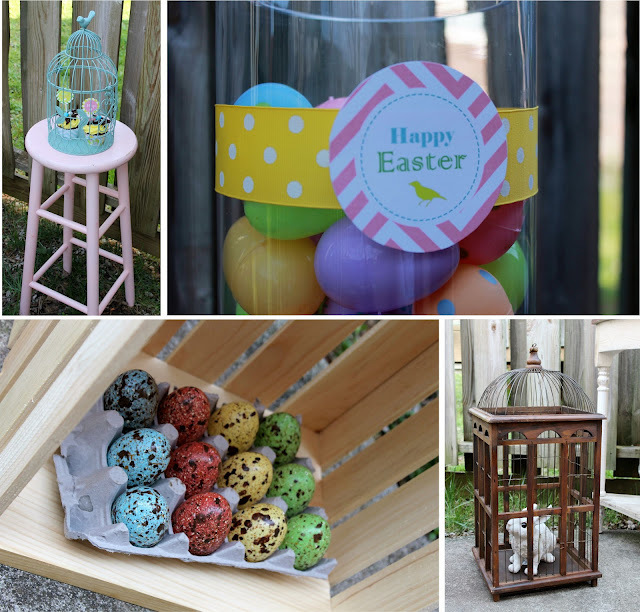 In fact, check out this delightful collection of FREE "Bunnies and Birds" Easter Printables she designed. 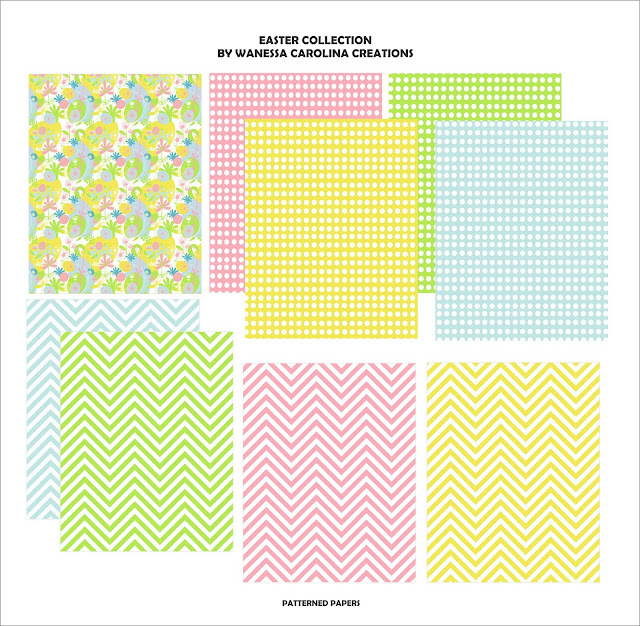 I not only love the pastel colors, but I love all the great chevron and polka dot patterns! 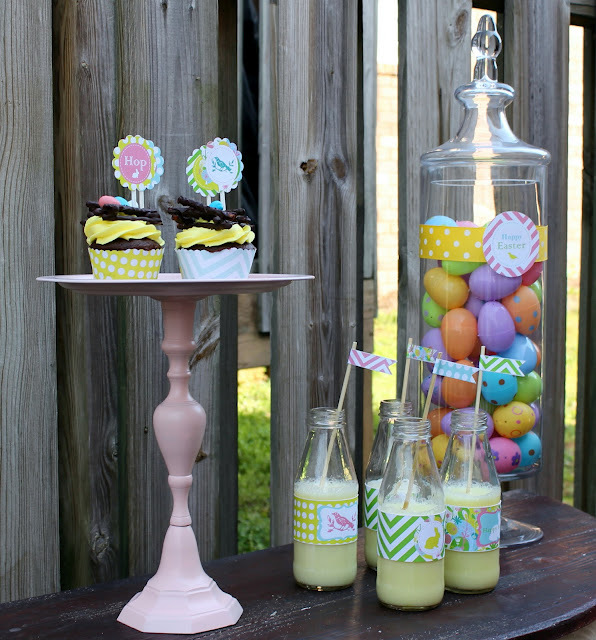 The collection includes: mini party labels, party labels, drink wraps, cupcake wraps, party flags, favor tags, blank tented cards, "Happy Easter" banner and garland, and wine glass markers (love this!). 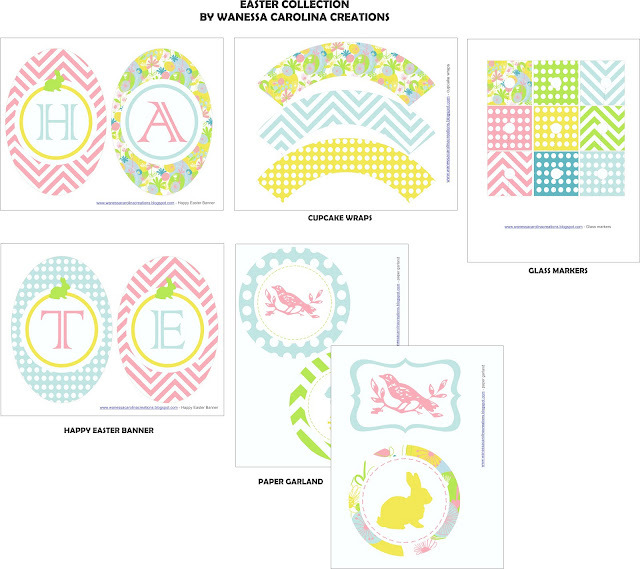 Download the free Easter printables here! Thank you, Wanessa for this gorgeous collection. 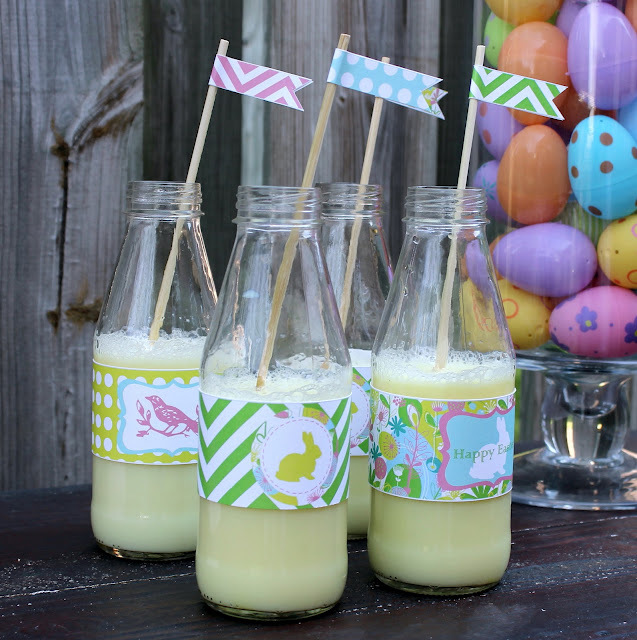 I especially love the Easter garland and the drink markers! To learn more about Wanessa and see more of her designs, please visit her blog, Facebook page, and Etsy shop. 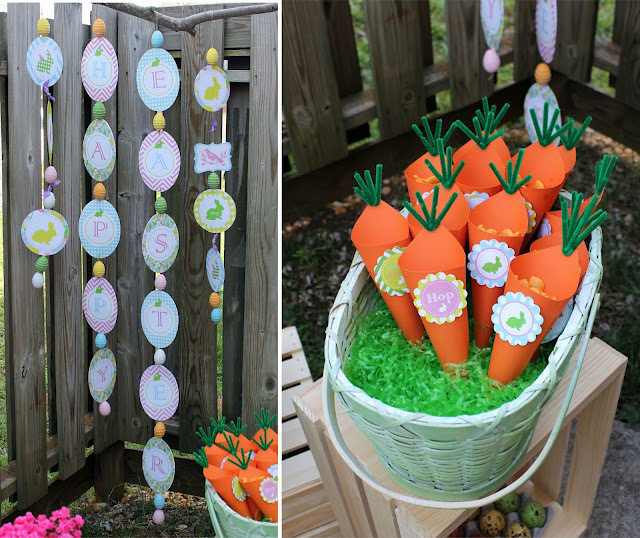 Also, for more Easter inspirations, check out all our free Easter printables and all the great Easter parties on our site. These are adorable, thanks so much for sharing!!! 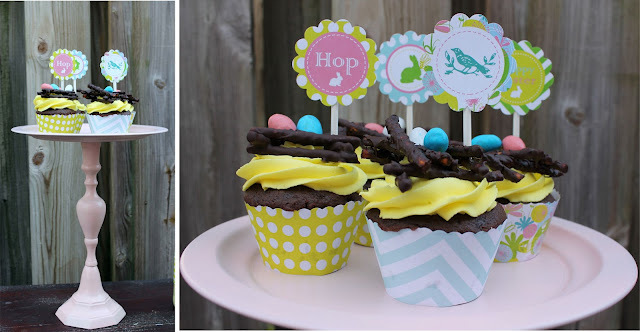 Just used these and they totally made the Easter party! Love it all! Thank you! !